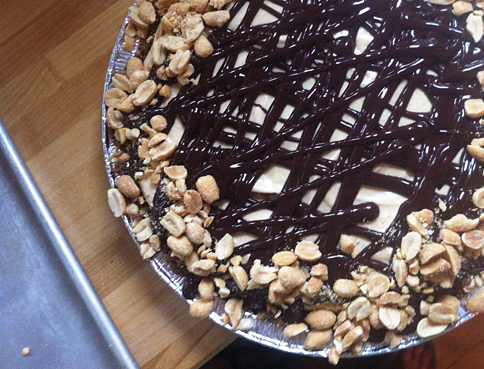 Peanut Butter Pie – Oh My! My apologies these aren’t the quality photos I usually produce. It had been a looong day and my iphone just had to do. Yesterday we had a bit of a cook-over with Patty and Katy. Good times, good food, and good company! We all walked away with a weeks worth of meals and a peanut butter pie! This recipe came from “Hoosier Mama Book of Pie” it’s a no-bake extravaganza that is extremely rich and satisfying. 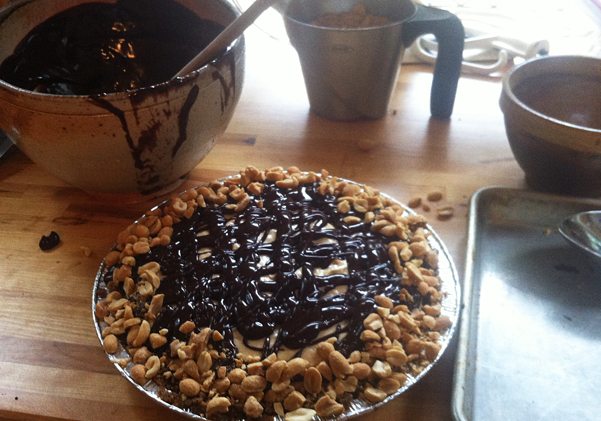 Pour mixture into prepared pie crust, gently distribute and place in fridge for 30 minutes before drizzling on ganache. Let cool until room temp, then drizzle over cold pie.